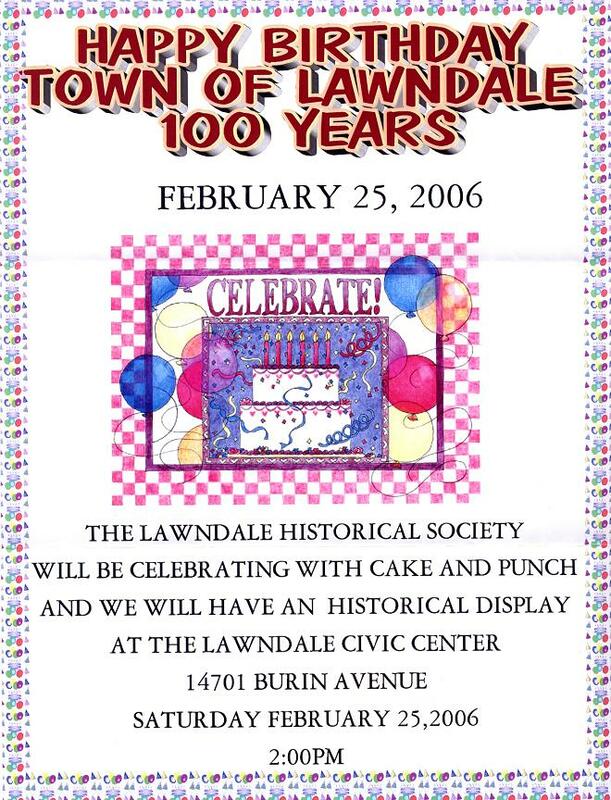 They say history doesn't lie, but Jim Osborne will always have his doubts -- at least when it comes to telling the century-old story of the city of Lawndale. Milestones seem to have been omitted from some historical accounts, and certain dates are disputable in others. Some things might even be flat out wrong. And over the years, perhaps because of laziness or limited resources, no one has ever really bothered to correct the record. And then came Osborne, 45, a lifetime Lawndalian with a passion for research, local history, and, above all, this quirky South Bay city. After two years of poring over old photographs, newspaper accounts and family mementos, Osborne's out with a new book that attempts to give a clearer picture of Lawndale's early days as a rural town of poultry farmers just five miles from the ocean. 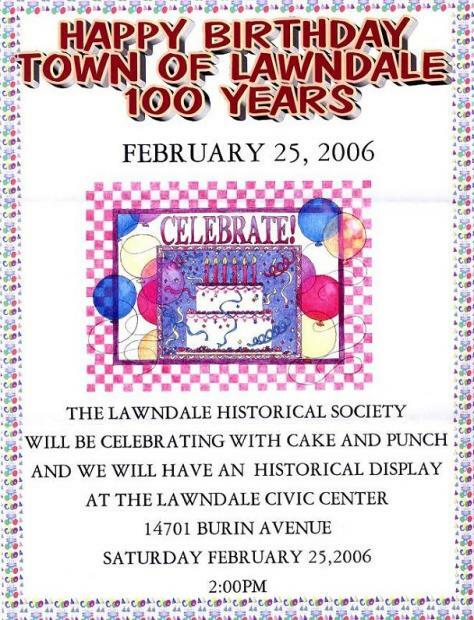 Since 1959 -- the year Lawndale was incorporated -- the community's history has been fairly well documented. But Osborne's book, Some Images of Lawndale's Past, covers the time from 1905, when developers sought to sell tracts of undeveloped land, to 1939. Those early years, he believes, are lost on new residents and old-timers alike. 'I'm certain they were never aware of the actual founders of the city,' Osborne said, fanning through his book's stiff pages to reveal black-and-white photographs and sepia-toned advertisements. For the record, Osborne writes, the year of the community's founding was actually 1906, when the first residents were believed to have moved in -- not 1897. And the town developers were E.L. Hopper & Son -- not S.L. Hooper & Sons, as previously published. And there's another important point of clarification: how the city of 31,733 residents got its name. The new book not only corrects misconceptions, observers say, but erases some of the blanks for a city that has been slow to embrace its history. Judson Grenier, professor emeritus of history at California State University, Dominguez Hills, said it's not uncommon to find local communities without clear accounts of their past. 'He's dealing with a part of the South Bay that just hasn't been tapped at all,' said Grenier, who helped review Osborne's manuscript. About a decade ago, former resident Richard Meyer took a shot at educating residents about the past by converting a dilapidated machine shop into a historical museum. But that ended after Meyer moved to Oceanside, and it was all his doing -- not a city-sponsored project. At the cramped public library behind City Hall, a visitor looking for local history is handed two brown boxes. Inside are photos that have been tacked down on black construction paper and tucked inside plastic album sleeves, and a handful of transcripts from former officials' speeches. Osborne's book is the most comprehensive account to date, said Elmita Brown, the community library manager. Even the city's historian, Janice Givens, has learned a thing or two from the book. A few days a week, Givens tries to organize old documents that have found their way to City Hall, but she works for free, and only as time permits. Unlike some of the other historians, Osborne has the advantage of longtime family ties. He lives in the Prairie Avenue home built in 1909 by his great-grandfather, Adelbert Buss, one of Lawndale's early settlers. And his grandmother, Helen Buss Thomas, was a former librarian and postmaster. Over the years, the family's house has accumulated an abundance of old files: newspaper clippings, invitations to church ceremonies and city events, original photographs of some of the first residents and mementos his mother and grandmother had kept. He finally decided to sort through them and publish a history. Osborne, who works for the Torrance public works department, won't say how much money he's spent and probably underestimates his time commitment. The book, he said, was a job he took on willingly after looking around and realizing how well some cities had documented their histories. He hopes now that Lawndale does, too.